March, 2012: Li Mengnan, 17, walked into the First Affiliated Hospital of Harbin Medical University in Northern China. He carried a four-inch fruit knife. He impaled the first person he encountered in the neck, injured several medical staff, and then unsuccessfully tried to kill himself before fleeing the scene. Wang Hao, a 28-year-old intern in the rheumatology department, died from the attack. May, 2016: Dr. Wang Jun, an ear, nose, and throat specialist at the Shaodong County People’s Hospital in Hunan, was busy with patients. Suddenly, a blow to his head resulted in him being one of the latest fatalities in China’s growing number of violent attacks against healthcare workers.1 The assailants were family members of a patient waiting to be treated by him and his colleagues. They purported that doctors did not appear to care or be vigorous enough in their treatments. Such cases have grown to earn their own terminology: yinao (医闹), directly translated as “medical ruckus.” The name itself is a testament to how the country’s citizens perceive China’s current healthcare system. Source: NEC Corporation of America. China currently faces a double burden of communicable and non-communicable diseases.2 Respectively, these include infectious diseases like hepatitis B, dysentery, tuberculosis, and sexually transmitted infections, as well as non-communicable, “rich world” diseases, such as stroke, cancer, heart disease, and diabetes.3 China has the largest diabetic population globally, with many more at risk.4 Furthermore, a host of systemic issues makes facing the growing disease burden even more challenging: shortages in medical staff, overcrowding, lack of privacy during visits, violent incidents, poor doctor satisfaction rates, and strained patient-doctor relationships. Rural patients – such as Li Mengnan – are expected to travel great distances to urban regions, only to find themselves on long wait lists to receive expensive treatments they cannot afford at tertiary hospitals. Though most Chinese citizens are insured, healthcare is still a large expense with 40% of costs paid out-of-pocket or via premiums.5 Current issues are further exacerbated by China’s rapidly aging population and quackery of counterfeit drugs, which adds pressure on a healthcare system already bursting at its seams and disreputably fragmented. Though modern reforms have promised expanded insurance coverage, access to and costs of services have hardly improved. In reflection of Premier Li Keqiang’s statement at the National People’s Congress on March 13th 2014, modern challenges might be rooted in previous policy.3 Insight into these roots is vital in addressing the issues that plague China’s healthcare system, and to guide developing health systems henceforth. By the 1970s, China accomplished a deed unparalleled across the developing world at the time: near-universal provision of primary healthcare via the Cooperative Medical System. Commitment to universal healthcare at the governmental level and the perceived success of barefoot doctors inspired a chain of programmes in the same vein. A testament to this is the World Health Organization’s launch of the “Health for All” programme in 1978, which gave rise to a global primary healthcare movement. In 1985, however, the Chinese government began prioritizing economic development and introduced a market economy. This led to the official withdrawal of support for the barefoot doctor programme. Despite more recent attempts to overcome the numerous healthcare challenges, such as by expanding health insurance, rural migrants and the disabled continue to lack access due to barriers, a significant one being cost.9 After the dismantling of the barefoot doctor system, healthcare was no longer a universal public good. Instead, it became something individuals chose to consume or not based on their socioeconomic status or geographic proximity to affordable healthcare. 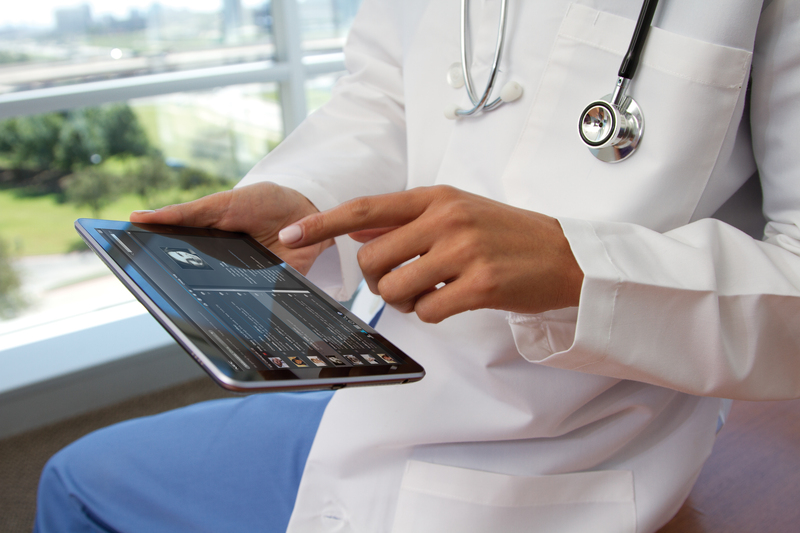 mHealth can be defined under the umbrella of electronic health (i.e. eHealth); specifically, it entails medical and public health practices supported by technology such as mobile phones, patient monitoring devices, personal digital assistants, and various other wireless devices. mHealth exploits what these devices have to offer for healthcare purposes, such as via short messaging services (SMS) or sensor-based applications and global positioning systems (GPS).12 In the past decade, there has been great interest in harvesting and optimizing the use of new technological advances to innovate in the global health realm. In a recent systemic review by Hsu and colleagues, there is inspiring evidence to suggest that the development of mHealth solutions parallels current unmet healthcare needs.14 Focusing only on medical-related apps (i.e. excluding broad health-related apps, such as weight loss or menstrual cycle management), the authors reviewed the 234 most downloaded apps, analysing various key features. Indeed, most the apps had a primary mHealth initiative of medical care access, indicative of the demand. Additionally, disease-specific apps were reflective of current disease prevalence in China. Health care worker screening in the community using Peek, a smartphone based diagnostic tool. Source: Community Eye Health, Flickr. Additionally, China Mobile established a partnership with the University of Cambridge to launch an ambitious set of pilot mHealth studies in the Guangdong, Guizhou, and Tianjin provinces.16 The programmes were called Medical Link, Medicine Link, Vaccine Link, and Patient Link. The purpose of these pilots was multifaceted: to deliver medical, health, and wellness information via SMS, improve access to doctors via SMS communication, provide vaccine-related information for families, aid in self-diagnosis, create a caller operating system for appointment bookings and a better system for managing patient information, allow for mobile video consultations, provide remote diagnosis and infectious disease tracking, and enable radio-frequency identification tracking for drugs.17 The success in these pilots was largely due to strong telecommunications infrastructure, multidisciplinary partnership, and the potential as a creative care solution to close the urban-rural divide in healthcare. The use of technology could also provide a different medium for patients and doctors, serving as a health education platform for the public or a method of task-shifting for healthcare workers. To deduce the success of digital health based on the development of telecommunications infrastructure and number of users, although tempting, would be a logical fallacy. Reforms at the state-level can be a lengthy process, so what would be more immediately helpful are investments from private enterprises. Large private enterprises have begun making a mark in the digital health market. For example, search engine Baidu Inc. built a smartphone application for clinicians to provide online consultations; Tencent Holdings Ltd. invested in various digital health start-ups; Alibaba’s health information technology branch aimed to bring hospital services online and to develop an online pharmacy.19 Founder of Alibaba Group Holding Ltd., Jack Ma, expressed the same interests and ambitions of creating a better public healthcare system, with the explicit goals of better hospitals, cheaper drugs, and healthier people. Given all the benefits that digital health solutions present, from the technology perspective, it can be easy to be complacent and say that mHealth is the future. However, many do not take into consideration the intricacies and traditions of the current healthcare system: in order for mHealth to be widely adopted for public healthcare, current habits need to be broken. One of the biggest challenges the industry faces is the lack of insurers willing to collaborate with China’s dominant state-level hospitals and government insurance policies. The current outlook of China’s healthcare system is a conservative one, which is a reimbursement-driven model that does not recompense for innovative services. As put by Global Healthcare Leader at PWC, Dr. David Levy, “The problem is this enormous medical infrastructure that is very conservative and resistant to change. In most emerging markets, you have a lot of the drivers of innovation without the barriers.”22 Thus, the challenges do not ultimately lie in innovation and technologies. Rather, it is the lack of proper infrastructure to support and sustain these innovations that obstructs further possibilities. Not everyone, however, supports such reform. Current debates have spawned about whether digital health solutions should integrate with the governmental system. Professor Ian Leslie from University of Cambridge advised to avoid “interacting with the humongous thing,” referring to the public healthcare system. 22, 23 An example of such independence from the public health care system can be seen with the private insurance company Ping An Insurance Group, which launched a parallel telemedicine branch (Ping An Good Doctor) which complements its internal insurance system. The app offers a plethora of services: free diagnosis, 24-hour online consultations, an online mall selling over-the-counter medication and medical devices, healthcare-related articles, a microblog discussion forum, and even gift cards for medical services such as health exams and gene testing.24 The app currently has a reported 77 million registered users, with a daily consultations count as high as 250,000. The proportion of users that suffer from the aforementioned unmet needs, however, are unknown. Notably, this piece only focused on mHealth out of a profusion of other possible digital health solutions. The convergence of mobile networks with increasing bandwidth capacity for data, the proliferation of low-cost smart devices, and cloud computing foster new opportunities to better the delivery of health care. The conceptual reach of mHealth is great. With China’s current healthcare system and its role as a developing country, there are great potentials for digital health solutions to proliferate. Conceptually, mHealth offers itself as a viable option which could address big issues, such as the current poor access to care exasperated by China’s rural-urban divide, or video consultations for those less able to travel long distances to a tertiary health provider. In order to capitalize on the potential of digital health, there must be further emphasis on the cross-pollination of the private and public sector and the sustainability of this relationship, as well as the possibility of tailoring technology with cultural sensitivities. Taking all the above into consideration, perhaps digital health solutions will become the new barefoot doctors. Megan Lam is a student at the Yale School of Medicine. She can be contacted at megan.lam@yale.edu. Boutayeb, A. (2006). The double burden of communicable and non-communicable diseases in developing countries. Transactions of the Royal society of Tropical Medicine and Hygiene, 100(3), 191-199. Yueju, L. (2014). Violence against doctors in China. The Lancet, 384(9945), 745. Guariguata, L., Whiting, D. R., Hambleton, I., Beagley, J., Linnenkamp, U., & Shaw, J. E. (2014). Global estimates of diabetes prevalence for 2013 and projections for 2035. Diabetes research and clinical practice, 103(2), 137-149. McKinsey & Co. (2010). China’s health care reforms. Retrieved from Health International (10). Weiyuan, C. (2008). China’s village doctors take great strides: village doctors have dramatically improved access to health care in China’s rural communities over the last few decades. Bulletin of the World Health Organization, 86(12), 914-916. Daemmrich, A. (2013). The political economy of healthcare reform in China: negotiating public and private. SpringerPlus, 2(1), 448. Kay, M., Santos, J., & Takane, M. (2011). mHealth: New horizons for health through mobile technologies. World Health Organization, 3, 66-71. Leslie, I., Sherrington, S., Dicks, D., Gray, N., & Chang, T. T. (2011). Mobile communications for medical care: A study of current and future healthcare and health promotion applications, and their use in China and elsewhere. Cambridge, UK: University of Cambridge. Hsu, J., Liu, D., Yu, Y. M., Zhao, H. T., Chen, Z. R., Li, J., & Chen, W. (2016). The Top Chinese Mobile Health Apps: A Systematic Investigation. Journal of Medical Internet Research, 18(8). Chib, A. (2013). 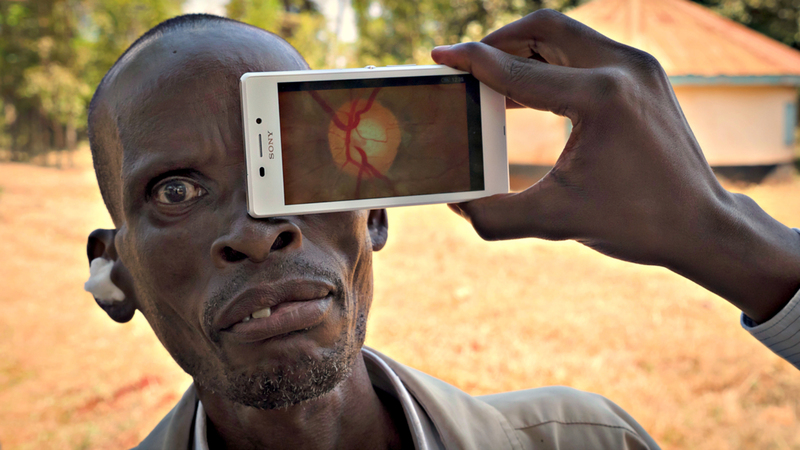 The promise and peril of mHealth in developing countries. Mobile Media & Communication, 1(1), 69-75.